Every quarter, USCIS releases information on the number of individuals who petitioned to receive or renew DACA, Deferred Action for Childhood Arrivals. The controversial program was temporarily halted by President Trump, only for the courts to order its continuation as DACA-lite, where USCIS accepts no new applications, but continues to process two-year renewals of prior recipients. This is due to a number of cases navigating through the court system. My colleague Art Arthur continues to track the ongoing status of these cases. Because DACA status is good for two years at a time, when we look at petition data we see an oscillating pattern of peaks and valleys. USCIS began accepting applications only in August 2012. The peaks of 2013, 2015, and 2017 represent the first round of DACA recipients and their renewals. The valley years — 2014 and 2016 — are comprised of people only who did not immediately sign up for DACA. But something interesting clearly occurred in FY 2018. This should have been another valley year where there were few approvals. Instead, there was clearly a jump. Why would this be? The answer is quite simple. In the chaos since September 2017 (Trump's DACA-ending announcement), activist groups encouraged all DACA recipients to renew their status. The uptick in approvals reflects the many DACA recipients who were unaware of the program's future and rushed to renew their status. 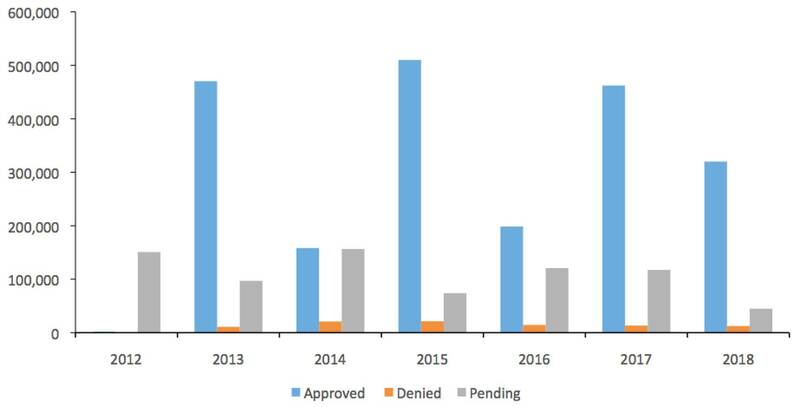 Note: These figures do not include pending cases — only approvals and denials. FY 2012 is excluded because there were only a handful of approvals, and zero denials, reported in that fiscal year. If you applied for DACA, the chances you received it are quite high. 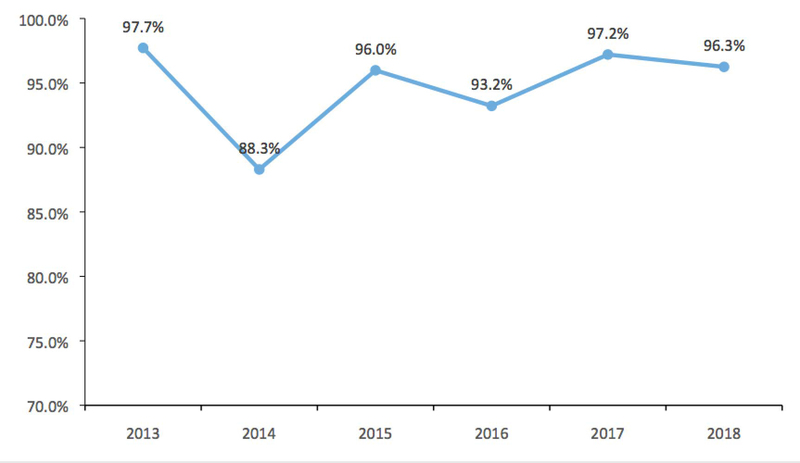 With the exception of FY 2014, every year carried an approval rate of over 90 percent. In both FYs 2017 and 2018, the approval rate of reviewed cases was higher than 95 percent. 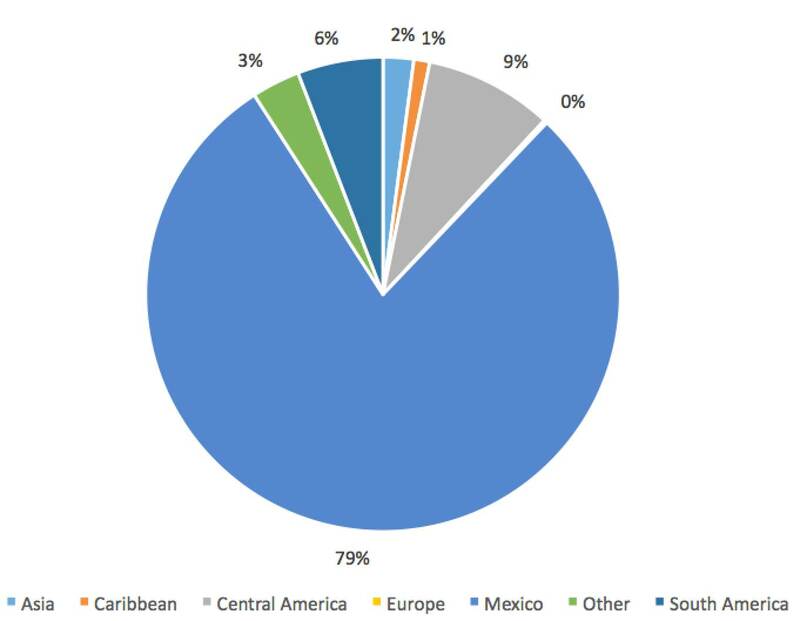 Figure 3 shows the total number of approved initial requests, grouped by region. Mexico accounts for 79 percent of the total, followed by Central America and South America. Table 1 shows a country-by-country breakdown of the initial cases. Table 2 shows that just four states account for over 50 percent of both the total number of initial requests and the USCIS estimate of the total DACA population: California, Texas, New York, and Florida. The combined states' share of total initial applications is 53.2 percent. Interestingly, the combined states' share of total estimated DACA recipients is 53.6 percent. For access to more data like this, please visit the Center's Immigration Data Portal. The Portal consolidates government agencies' most recent immigration statistics at one, easy-to-use location.